Crooked Lane Books and Net Galley allowed me to read this book for review (thank you). It will be published August 11th, so you'll be able to grab a copy then. I liked the characters. Sabrina is cautious with men since she's been burned. Her business partner is gay and he had been compromised by his lover, so he was glad to have a fresh start, too. 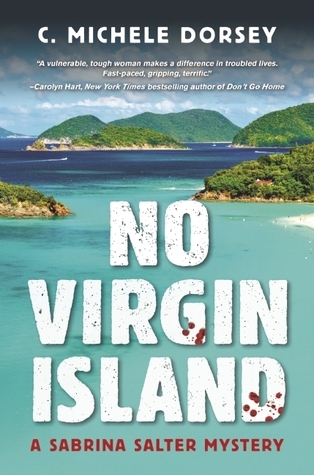 Neither of them expected to find a dead body or false names or secrets on the island. Everyone knew everyone, how could there be secrets? This story is very busy and has two or three things going on all at once. 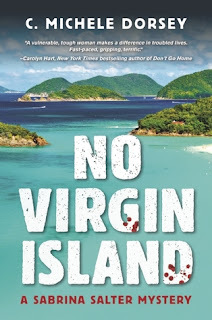 Ms. Dorsey makes all of her women strong in character and it doesn't take long until the island women are drawing together to protect their families and each other from trouble. That was a nice touch. I was also impressed by how the author ended the story. There was potential for disaster in more than one situation but she made it all work for the best. I'm sure Sabrina will be back, and I'll be watching to see if her budding romance grows and if Henry can hold out against his old love. There might even be a murder or two in that book, too, you never know.